The state of Hawaii requires NCCAOM Examination for initial licensure. If you are an NCCAOM Acupuncture Diplomate seeking license renewal, please visit the NCCAOM PDA or CEU Course page for approved courses. 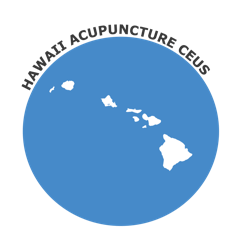 Hawaii requires Biennial license renewal [§436E-9]: Every person holding a license under this chapter shall register with the (Hawaii Acupuncture) board and pay a biennial fee on or before June 30 of each odd-numbered year. Failure to pay the biennial fee shall constitute a forfeiture of the license as of the date of expiration. Any license so forfeited may be restored within one year after the expiration upon filing of an application and payment of a restoration fee.